Holiday shoppers spend billions of dollars each year on gifts for friends, family and coworkers. But holiday shoppers also spend substantial amounts of money dressing up those gifts with bows and wrapping paper. 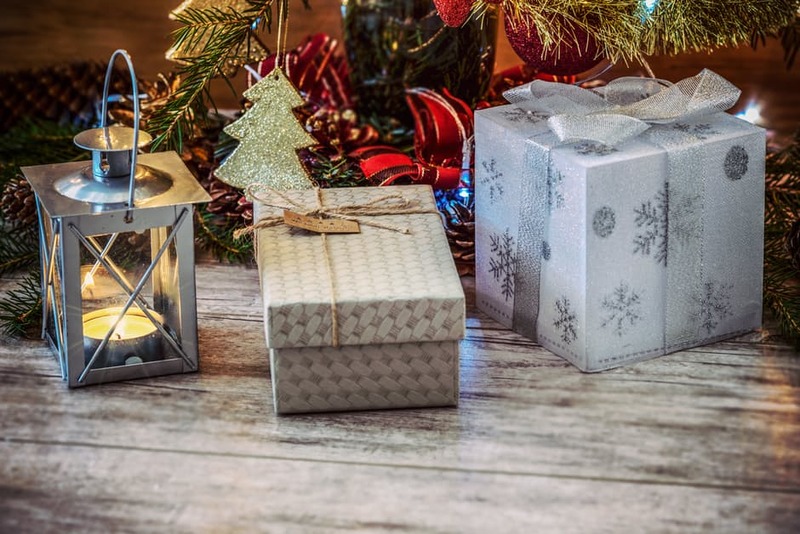 Shoppers may not want to spend much more on wrapping paper, bags and other ways to dress-up their gifts, and by employing a few tricks of the gift wrapping trade, they may not have to. The following are some frugal, yet flashy, ways to wrap presents this holiday season. * Children’s artwork: Over the course of a school year parents can accumulate dozens of original pieces of art from their children’s time in the classroom. Instead of relegating those pictures to a memory box or temporary glory on the refrigerator, turn them into unique gift wrap. Pair these pieces of art with colored ribbon, and everyone who gets a unique masterpiece will feel special. * Newspaper: Recycle newsprint and comics into wrapping paper. Encourage everyone to wrap in newspaper for a cohesive look come Christmas morning. * Cloth: Leftover cloth from Halloween or cloth purchased to create homemade curtains can be turned into giftwrap for awkward-shaped gifts. Use decorative ribbon to seal the bundle shut. * Brown paper: Brown paper tied with twine or ribbon is inexpensive and can easily be recycled after use. Use a marker to put the names of gift recipients on each package to save on gift tags as well. * Glass jars: Use mason jars when wrapping smaller gifts, including gift cards, to give them an arts-and-crafts feel. * Fabric gift bags: If you’re handy with a needle and thread, sew sacks out of leftover fabric to make gift bags of various sizes. * Cookie tins: Find unique cookie tins from yard sales or leftover tins from holidays past and use them as gift boxes. * Recipes: If you will be giving a cookbook or food-themed gifts, print recipes that can be used as gift wrap and then later used to make certain dishes. * Baby linens: From blankets to wash cloths, use baby linens to wrap infant-themed gifts for new parents. * Baskets: Wicker baskets are available in various shapes and sizes. They can be used to make a gift collection and then reused over and over again.